The Tonique semi-recessed 1 tap hole basin from RAK ceramics, designed to used To be used with vanity units or bathroom furniture. 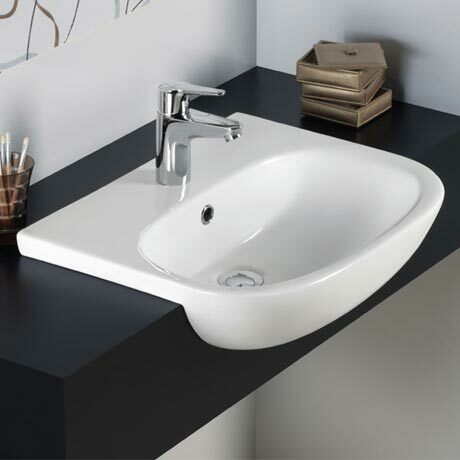 Basin has a overflow and tap platform and is made from quality vitreous china, the clean curvacious design of Tonique will compliment any cloakroom or bathroom. Give your bathroom a touch of luxury with the contemporary Tonique semi-recessed basin from Rak. It is made from high quality Vitreous china to give it a robust and durable build, as well as a beautiful finish. The innovative design and high standards of manufacturing make this semi-recessed basin a great addition to any bathroom.